India’s recent spurt in urbanization pales in comparison with that of China, where the urban population has increased from 26% in 1990 to 50% in 2010. During a similar 20 year period India’s urban population went up from 25% to 31%. However, it is a significant shift when seen in the context of the pace of the preceding 90 years — it took 90 years for it to increase from 11% in 1901 to 25% in 1991. According to a recent report, an astonishing 49% of India’s wealth is now owned by 1% of the super rich. Behind these statistics are the lives of the people and individuals who are living through these transformative years. Two recent books, focused on the two largest cities in the country–Delhi and Mumbai, explore these lives in the times of this transition. 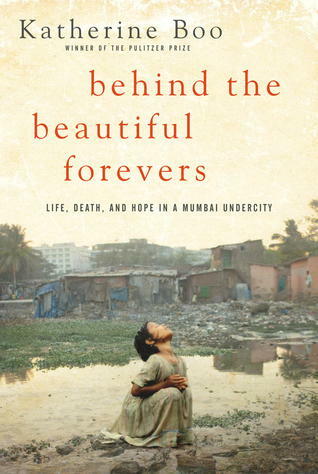 Behind the Beautiful Forevers: Life, Death, and Hope in a Mumbai Undercity is by an American journalist, winner of the Pulitzer Prize, Katherine Boo married to an Indian and the other Capital: The Eruption of Delhi is by the British-born writer of Indian descent, Rana Dasgupta, who is married to an Indian as well and now lives in New Delhi. 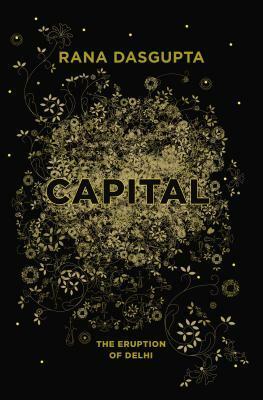 The contrast between the two books is remarkable- Boo explores the lives of the poor in one of Mumbai’s slums while Dasgupta converses with the rich and super rich of the country’s capital city. Dalit politics in the late 20th century India owes its rise to the vision and work one man–Kanshiram. The bedrock for this movement was laid in the mid-20th century by its tallest leader Dr. B.R. Ambedkar. Despite his brilliance and lifelong commitment to the cause of the dalits, Dr Ambedkar had been largely forgotten in the national consciousness till the rise of the Dalit Soshit Samaj Sangharsh Samiti (DS4) and then the Bahujan Samaj Party- both creations of one man, Kanshiram. Born in a Ramdasia Sikh family in Punjab, Kanshiram was named after a local baba who apparently predicted that he would grow up to be a big leader. He grew up more or less unaffected by the stigma that his caste was subjected to in most of the country. Kanshiram’s eyes opened to the reality of caste oppression when he was employed with a government research laboratory in Pune. Spurred by the extant Dalit movement, primarily led by the Mahars in Maharashtra, he went on to dedicate his life to the cause that he took upon himself. He decided not to marry or have any relations with his family. His encounters with his family back in Punjab were sporadic, and interspersed over many years. For a long time, his parents and siblings did not know his whereabouts. Exactly twenty years ago, the world became aware of the Zapatista rebellion in the Chiapas region of Mexico. Though the immediate reason for the revolt was the NAFTA treaty that opened the floodgates for US-manufactured goods into Mexico, it was one among a series of previous revolts in the area since the 18th century. Rosario Castellano’s farewell novel before her death at the age of 49 in 1974 is based on these revolts and located in the early 20th century. The title of the novel recalls the Jewish text also called The Book of Lamentations,a collection of poetic laments about the destruction of Jerusalem. The proclamation of land reforms by the PRI party in early 20th century forms the background to the events depicted in the novel. Spurred on by an honest and gritty land inspector, Fernando Ulloa and the millenarian prophecies of an Indian woman, Catalina Diaz Puilja, the indigenous Tzotzil-speaking Mayan people of the region rise up against the Ladinos, the landowners of Spanish descent. The end is a bloody defeat of the rebels and Fernando’s calamitous death at the hands of the Ladinos- led by Leonardo Cifuentes, the devious representative of the land-rich ranchers. These three characters form the fulcrum of the story, though there are at least a dozen important characters in the novel. 2013 is the year when I discovered Mo Yan- who won the 2012 Nobel prize for literature. (Shifu , You’ll do anything for a laugh, Life and Death are Wearing me out, and Red Sorghum). 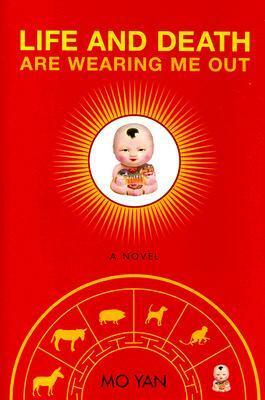 Red Sorghum, the Nobel winner’s first novel is somewhat a let down compared to the other two later books that were reviewed earlier this year on this blog. 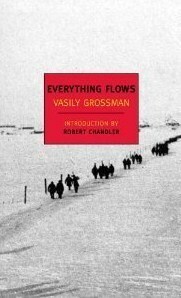 Everything Flows by Vasili Grossman, one of my favourite 20th century authors did not disappoint. It is at least as brilliant, if not more than his longer and more well known Life and Fate, considered to be the War and Peace of the 20th century. Khrushchev on Khrushchev, a chance discovery at a down town used books sale, was a wonderful find. The first part that dealt with the days of Nikita Khrushchev are well described by his son, Sergei, giving a human touch to a very significant part of the Soviet and world history. The events leading to the secret speech against Stalin and the subsequent overthrow of Nikita Khrushchev by the neo- Stalinist brigade are described from a keen memory that remembered small and significant details all through the intervening decades. The book was published in 1990, towards the end of the Soviet rule. The mediocrity the of the Stalinist gang that overthrew was well represented by the sullen face of Brezhnev. But, as Nikita Khrushchev on the eve of the coup observed- there had been a fundamental shift in Soviet society by the time he was forced out of office. I have done the main thing. Relations among us, the style of leadership, has changed drastically. Could anyone have dreamed of telling Stalin that he didn’t suit us anymore, and suggesting that he retire? Not even a wet spot would have remained where we had been standing. Now everything is different. The fear’s gone and we can talk as equals. That’s my contribution. I won’t put up a fight. The levels to which the administration went to bug the Khrushchevs’ house and movements look both ludicrous and naive- particularly as the Snowden revelations about the NSA’s snooping were coming out at the time I was reading this book. The Soviets did the same thing – just more clumsily with a primitive technology. Down and Out in London and Paris by George Orwell was a failed attempt at re- reading a book that I had enjoyed a lot the first time but did not find it to be the same on a second reading. The Adventures of Amir Hamza, an accidental and interesting find, did not hold much interest after a few pages. I would have liked to read it when I was a teenager, and perhaps in Urdu rather in English in which the language is far too ornate. The long and bulky work is considered to be the Indian equivalent of the Thousand Nights. I read a lot more online this year but reading on a screen is not the easiest mode for the long form- there is too much of a temptation to read shorter articles. Prison Notebooks and Chinese Whispers- Contemporary Chinese literature through an Indian lens.